Inherited from the Soviet era, the Lithuanian heat sector was until very recently obsolete, inefficient and unprofitable. After Lithuania’s accession to the EU in 2004, the heat sector was transformed with private investments into one of the most advanced in Europe. Lithuania’s success was not limited to the renovation of heating networks. The country rapidly implemented biomass revolution and is now ranking amongst the world’s leading consumers of renewable energy resources. Efficient heat production and supply, extensive use of biomass and low environmental impact are the main characteristics of the Lithuanian heat sector today. Heat loss in urban heat transmission networks have been reduced from 33 to 15 percent on average. Efficient heat supply to consumers enables annual saving of 89 million Eur. 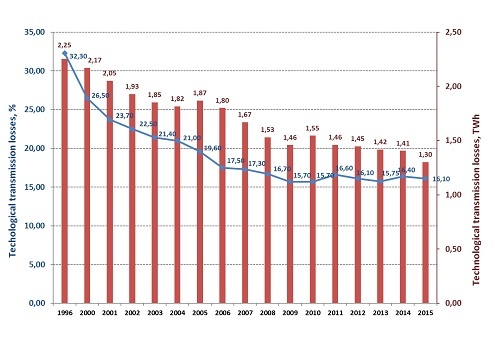 Lithuania has almost caught up with modern Scandinavian heat networks demonstrating approx. 12 percent of heat loss. Lithuania serves as an example of achieving energy independence from an import monopoly of expensive natural gas over a short period of time. 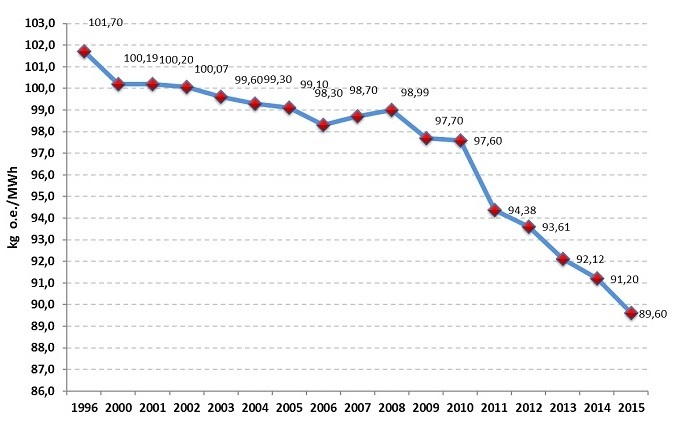 For long years Lithuania has been paying the highest price in Europe for gas supplied by Gazprom’s monopoly. 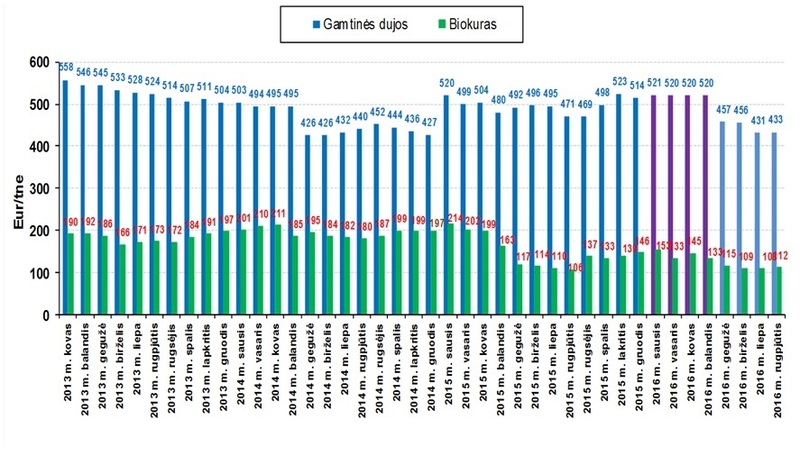 In Lithuania, the share of district heating generated from biomass increased from 2 percent in 2004 up to 61 percent in 2015. Lithuania has enough resources to have 100 per cent bio-fuel-based heating without causing negative environmental impact. 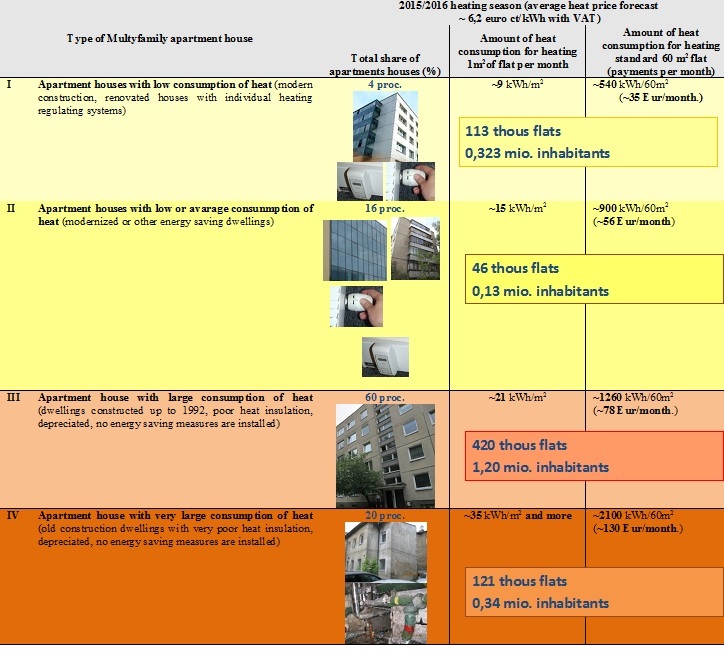 Although heating systems have been modernised, heat consumption is still inefficient in multi-apartment buildings of old construction. 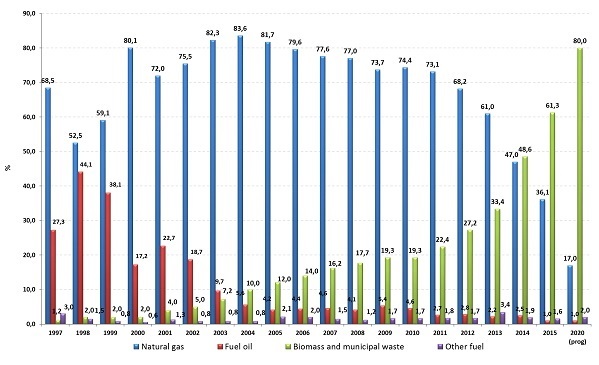 The main challenge for Lithuania in the context of cost reduction remains renovation of energy-wasting, uninsulated houses. Fig. 5 There are 17000 multifamily apartment houses (700 thous flats) connected to DH networks: 420 thous apartments in old, uninsulated multi-apartment buildings, 120 thous apartments of extremely poor quality, 112 thous apartments in partially renovated multi-apartment buildings, 70 thous apartments in newly built and renovated multi-apartment buildings.